Great post on our awareness of consumerism. We have competing inner notions of get ahead and be prepared and at the same time the need to keep our holidays during holiday time lines. It’s hard to make a decision on what works best for you. For me, I like to know what’s available but hold off until closer to a specific date. Me too! 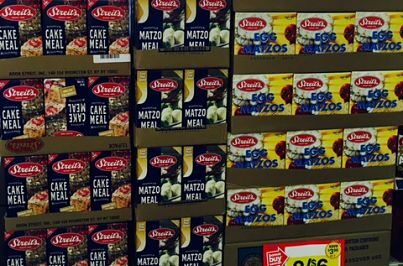 Specifically, the Passover holiday is labor intensive for me so when I see the products displayed this early, I get crazy. I know what lies ahead, lol, and this premature push just raises my overwhelm needlessly.